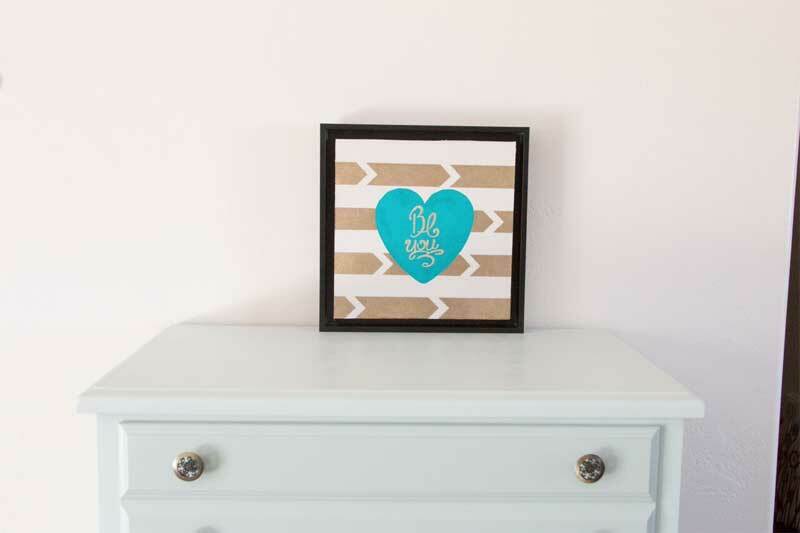 Keep your home décor fresh and fabulous using basic items like a stencil, tape, paint, and canvas. Cut the heart template out and set aside. Use the hole made from cutting out the heart shape as a mask to paint a heart in the center of the canvas. Remove mask. Set aside to dry. Cut the words from the center of the heart template. Mask the dry painted heart by covering it with the heart template shape. Secure the mask with removable adhesive. Use the arrow shape template as a guide to tape off lines of arrows with masking tape. Paint the unmasked parts of canvas. Remove masking tape and heart mask. Allow canvas to dry. Attach canvas to a board. Trim to fit. Frame if desired.